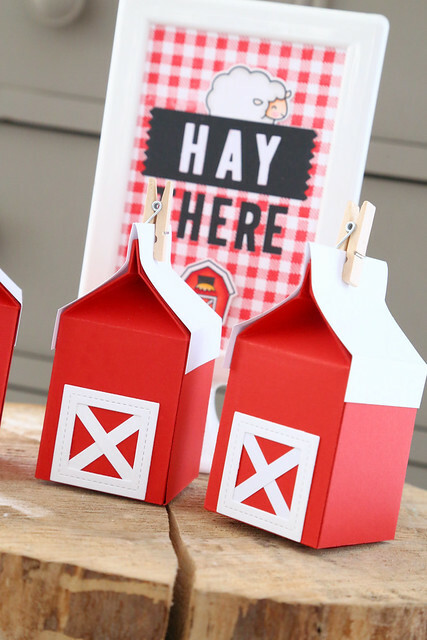 I'm here and on the Lawn Fawn blog this morning with some ideas for a barn or farm-themed party. 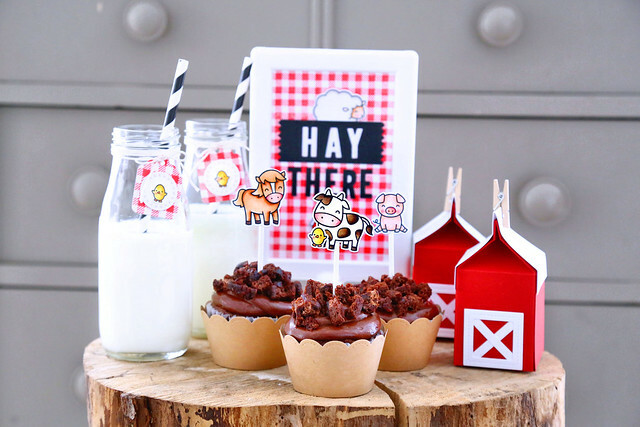 I used the critters from Hay There to make adorable cupcake toppers and drink tags. 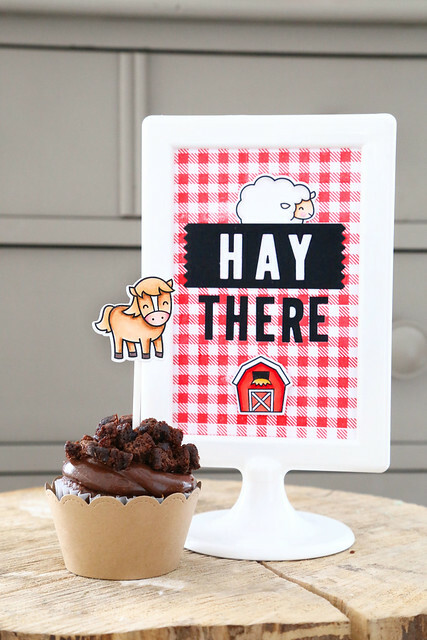 I stamped out the background of the sign using Gingham Backdrops (perfect for a barn-theme!) and spelled out the greeting using Cole's ABCs dies. I stamped more gingham onto Tiny Tags for the drink bottles. I chose the cross-stitched circle dies to mat the chick onto - they give a country kind of feel, don't they? 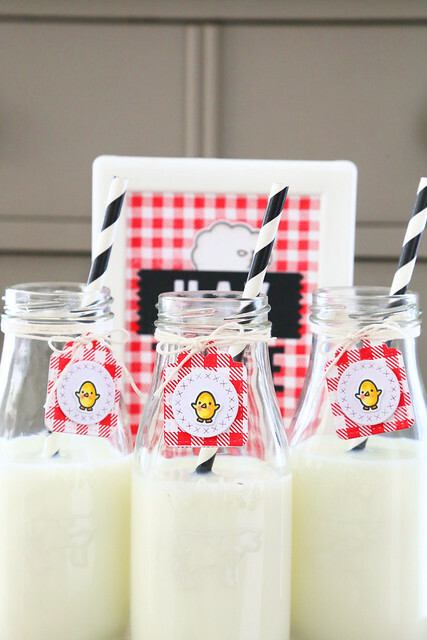 My favorite party element are these barn milk bottle favor boxes. So easy to make! and they reinforce the theme perfectly. 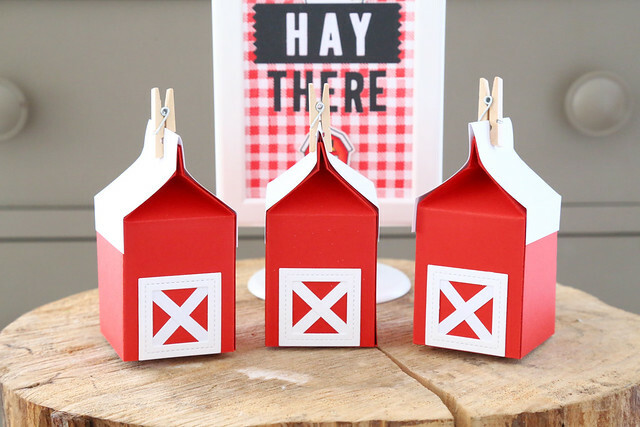 A folded piece of white paper acts as a roof and all I needed to create the barn door was a square frame die and a few extra strips of cardstock. i think it is incredible how you set up the scene! and those cupcakes look bomb diggity! all your party themes are so cute and festive, another job well done! I love this idea. Ill be saving this one for the petting zoo Party. Thanks for the inspiration. New Essentials by Ellen Leading Ladies!